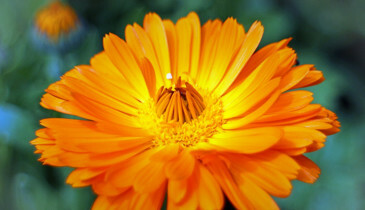 We've put together a list of easy to grow flowers just for beginners. We know that learning a new skill can sometimes take time, so in this post we take you through the process from the humble seed to beautifully developed and colourful plants. Lots of colour is what most people want in their garden. Borders, plant pots and hanging baskets bursting with pretty and bright flowers. When choosing flowers, the most important advice is to choose the ones that you like, it is your garden after all! But if you’re a bit of a novice, we have put together a list of what we believe are the nicest, but also the easiest flowers to grow, to help get you started. Everyone has grown a sunflower at some point! 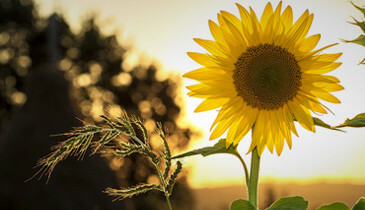 Going out into the garden to see how tall your sunflower has grown, that’s a part of everyone’s childhood isn’t it? Unfortunately, this childhood favourite seems to get forgotten about after that, but we think it is time to give it another chance. Simple to grow from seed, just sew the seeds in a sunny spot, keep them watered and watch them grow. Try to choose a sheltered area, and add some support once they get going to keep them strong and stood up. 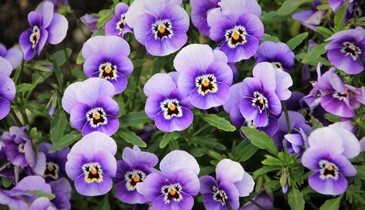 A Pansy is an all round favourite, a classic in any flower bed and will not let you down. They can be grown as summer or winter varieties proving colour throughout the year, and will only stop flowering when the temperature drops to below 5°C. Remove the flower heads when they die off, and it will encourage the growth of more to keep your garden bright and vibrant. 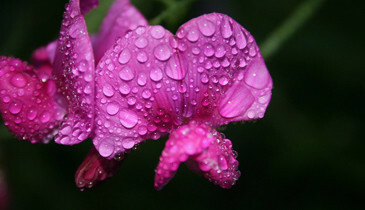 Not only will sweet peas add brightness to your garden, but they also smell nice too! Sew them in a sunny spot against a supportive fence or trellis with plenty of water, and they will provide a nice burst of colour and fragrance. If you soak the seeds over night in some tepid water the night before seeding, they will get off to a quicker start once planted. Not essential, but a quick tip to get your sweet peas off to a flying start. 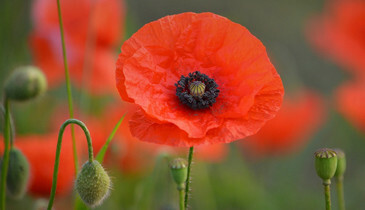 Poppies come in all sorts of varieties so you can choose your favourites to go in your garden. The best thing about poppies is that they are not fussy! They will grow in poor quality soil and don’t really need watering. Scatter the seeds in your chosen area, and they will come back year after year and just take care of themselves. Easy! Marigolds will provide a nice golden colour in your garden throughout all of the summer, and into the autumn months. They need full sunshine to thrive, and preferably a well drained soil. They come in tall or short varieties so will fit in wherever you need a splash of colour in your garden. 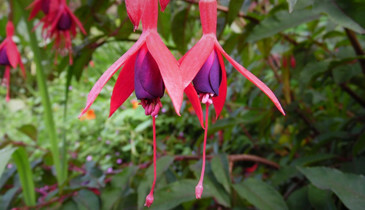 The pinks and purples of fuchsias are a very pretty addition to any garden. They come in hundreds of varieties and will be happy in plant pots, hanging baskets or in your flower beds. They will grow in sunny or semi-shaded areas, and will flower all summer long, coming back year after year. Not only will these flowers brighten up your garden, they will also help to attract wildlife and bring your garden to life. If your soil needs a bit of TLC before you start sewing, check out our Soil Improver or Border Black Screened Top Soil products to get your flowers off to the best start possible.